With Vodafone One Net Enterprise, we’ll analyse your current fixed and mobile needs to build a bespoke solution that will grow with your business. It lets you join together your desk, mobile and PC-based phones into one unified system. Integration with Cisco Webex Teams provides all the business-grade collaboration tools you need to work effectively as a team – share files, send instant messages, video conference or share virtual whiteboards – from any device. So you can provide a seamless, totally unified experience for all your employees, freeing them up to be more productive and making it is easier for you to manage communications. One Net Enterprise is fully managed and supported throughout its lifecycle, so you’ll always have the technology you need to revitalise how you communicate with colleagues and customers. And with one monthly bill, you’ll stay in control of your costs by only dealing with a single supplier. If your organisation isn't quite ready for the One Net Enterprise suite of services, you can still take positive steps to embrace more efficient and flexible ways of working. 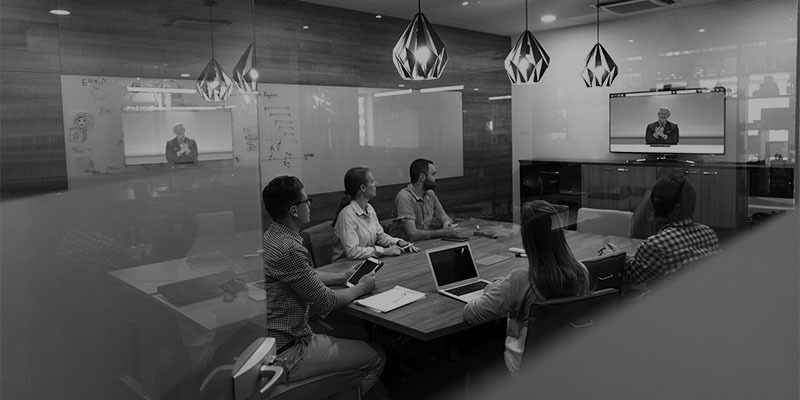 With Vodafone support, start using Cisco Webex Teams as a standalone service for virtual meetings to streamline team communication and improve collaboration. * Source: The Flexible: friend or foe? Report published 2016. Survey conducted by Morar research on behalf of Vodafone between September and October 2015. Optimised for fixed lines, mobiles, tablets and laptops, your employees will experience seamless communications wherever they’re working. Respond quickly to changing business needs and plan for future growth with a fully scalable solution that lets you add or remove users whenever you need to. You’ll experience minimal disruption as your lines move from your old suppliers to our new solution. This will ensure you have service continuity throughout the migration period. We’ll analyse everything from your fixed and mobile usage to the technology available to create a bespoke solution for your organisation. With a single solution, you won’t have to spend time managing multiple suppliers. You’ll get a single monthly bill that will help you simplify how you manage your telecoms budget, with detailed reporting to help reconcile your invoices. Enjoy lower call costs and free calls within your business. It goes way beyond cost – you’ll also reduce power consumption, property use, equipment, capital expenditure and employee costs. Streamline communication for more efficient collaboration with the Cisco Webex Teams app. Share files, send instant messages, video calls and more – whether you’re in a meeting, at your desk, or on the move. Save time leaving messages or chasing colleagues. Use the Presence feature to see if colleagues are online or available, and send them a text if they’re on a call. Every business is different – that’s why we offer Tiered Support Services [PDF: 2.9MB] that can be tailored to fit your needs. Foundation support is included as standard – just choose the features you want to add. Our cloud-based solution hosts the key features of One Net Enterprise, without the need to install additional hardware or software. Its pricing is based on the number of users, making it ideal for an organisation where numbers may change throughout the year. This service offers Cisco Call Manager, Cisco Unity and Jabber to create an advanced unified communications and cloud platform. It builds on Cisco’s heritage in networks – which means the foundations of its platform are first and foremost in telephony. The tools to unify communications and collaborate can be overlaid as required, providing a unique solution for integrating fixed and mobile systems. Installed on your premises and managed by us, this option is better for organisations with complex integration requirements or heightened security needs. This service comes with Microsoft Skype for Business – a suite of collaboration and office apps integrated with enterprise voice services. This user-friendly unified communications platform is based around collaboration, and voice services can be overlaid as needed. Get a virtual landline number you can answer on your mobile. Ideal for small businesses that never want to miss an opportunity. A simple and affordable unified communications service that fully integrates fixed line, mobile, desktop and tablet connectivity all on one system. Our IP-VPN Encrypt service is an easy-to-use solution for UK public limited companies that require extra security for network connectivity that meets network security needs for transmitting classified data. If you’ve ever felt overwhelmed by information you haven’t got the time to handle, watch this video to find out how to make your work life simpler, easier and more productive.